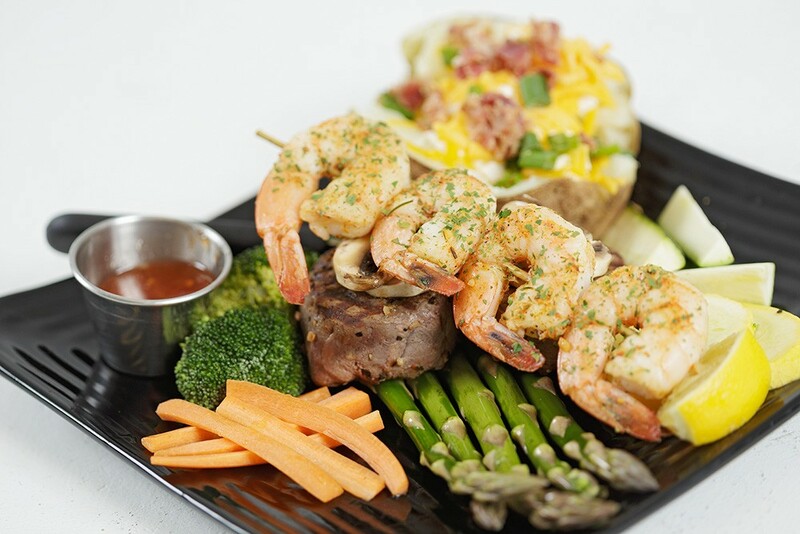 Filet mignon and grilled shrimp from Laguna Cafe, one of the more than 70 restaurants participating in Inlander Restaurant Week through Sunday. When will Restaurant Week end? I feel like I’ve been writing about it for months… but to answer the question, it ends Sunday. This is your last chance to participate this year, and you’ll probably want to make reservations because we’ve heard from lots of places filling up early. Hawaii-based Maui Coffee Roasters recently opened its first mainland location right here in Spokane Valley. Read more about that in this week’s Entree newsletter. We’ve written lots about the new Kendall Yards restaurants from chef Adam Hegsted, who was previously executive chef at Coeur d’Alene Casino. But who’s now in charge over there? The new executive chef is Steven Walk, who arrives from Washington State University dining services. Representatives from Idaho’s Department of Agriculture made a trip to Chicago to show off the state’s fine foods and beverages, like beef, caviar and a potato vodka that’s been ranked the best in the world. Perry Street Brewing is opening very soon — check out our long feature in this week's paper — and they’re now on Twitter. Zythum Brewing Company in Fairfield is now open on Saturdays. Cloudburst Brewing now has a location in Post Falls, with construction beginning soon. Fenwyr Cellars, one of the first meaderies in the area, has officially started producing mead and just launched a Kickstarter campaign for additional equipment and supplies. 2 Loons Distillery decided on a bottle and logo, and will begin filling them once federal approval comes through. Selkirk Abbey’s Belgian-style IPA, Infidel, got a shout-out as a top spring beer. 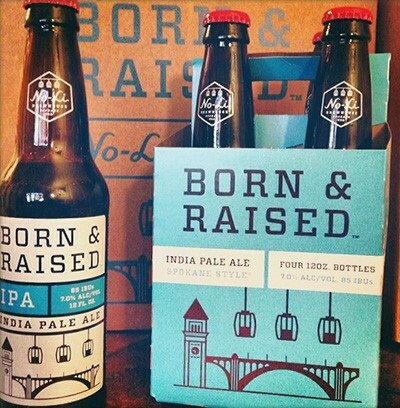 No-Li’s Born and Raised is out in four-packs. So pricey, but so cute! River City is releasing a new beer, Heritage English Pale Ale, with $3 pints all night. Jones Radiator hosted a Deschutes’ Abyss vertical tasting yesterday, but they’re continuing the special through the weekend — three 8-oz. pours and a flatbread for $30. And their Mug Club signup is Saturday. As one budding entrepreneur found out, legal marijuana could be quite the boon for Girl Scout cookie sales — except that lots of people don’t want Girl Scouts making sales outside dispensaries and pot shops. Or bars. Or anywhere else lucrative, apparently. Where did popular Mexican foods originate? OC Weekly schools Buzzfeed on their lousy research for “13 Dishes That Aren’t Actually Mexican,” because they actually are. Also, here’s a bit of news for getting to the end of this post: The former Blue Spark is going to be reopening within the next couple of months, as a bar but with a lot of changes. We’ll have more on it soon. Read previous food (and beverage) news here. We don't go thirsty.